This beautiful dove suspends on a silver tone silky soft 17" snake chain with lobster claw clasp closure. The dove features a jet crystal for the eye and green enamel for the olive branch that its holding in its beak. 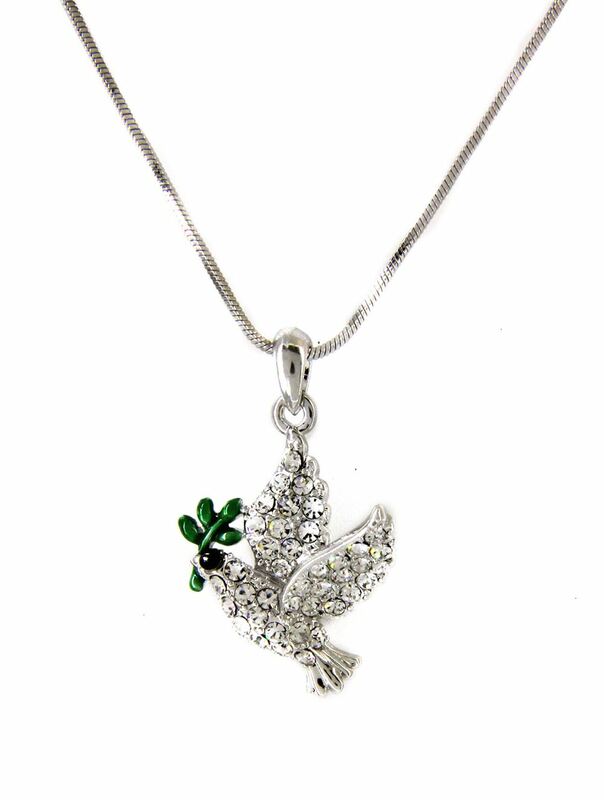 Clear crystals fill the 3/4" dove pendant, which also can represent the Holy Spirit. Very cute.